'Reunited at Christmas' star Lisa Durupt is all set to woo audiences in her role as 'Annie' the supportive yet feisty sister of protagonist Samantha Murphy (played by Nikki DeLoach). Durupt has been in the show business for a while now, starring in a variety of roles that have made her a seasoned actor. This holiday season, Durupt has two Christmas films she's starring in, one of them being 'Reunited at Christmas' and 'Christmas Lost and Found' is the other. In an exclusive interview with Meaww, Durupt opens up about her latest films, her acting career, and her personal life. You’re going to be starring in two holiday movies this season ‘Reunited at Christmas’ and ‘Christmas Lost and Found’. What was the experience shooting like for these films? Both films were quite different experiences. 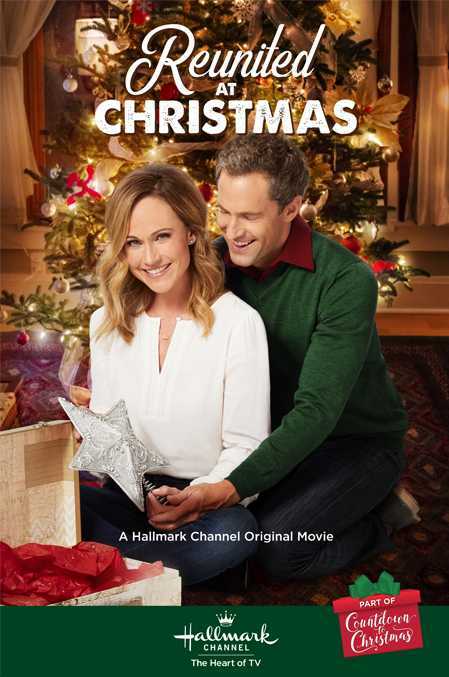 'Reunited at Christmas' brought Nikki DeLoach, director Steve Monroe, and myself back together for the first time since 'A Perfect Catch' so it was very comfortable right from the start. I knew most of the other actors in the main cast so it really was special to have an ensemble that got along so well and really felt like family, quickly. I really liked playing Annie because in real life I am the feisty, direct sister who cares a lot but is not scared to call a spade a spade. I related to her very well. 'Christmas Lost and Found' was great but besides the director Michael Scott, the cast members were all new to me. I had to get to know them as quickly as possible. We filmed all over but the best location was, without a doubt, my character’s department store. What was it like reuniting with Nikki DeLoach on this project? Any behind the scenes memories you’d like to share? Nikki is the best! We get along like siblings in real life so it was not a stretch at all to be back at it again. We laughed at least 80% of the day. To the point, I am sure we ticked off a few people. But hey, c’est la vie right? My favorite behind the scenes moment was when they put Nikki in a wig that was supposed to be for a flashback photo. I could not look her in the eyes at all! It was impossible to see this huge mass of permed 1999’s girl band hair piled on top of her tiny frame without cracking up. I don’t think it made the movie because we all realized it might be a bit too much for anyone to handle. What would you say makes ‘Reunited at Christmas’ stand out in comparison to other films this holiday season? What lies at its core? Well, everyone will have their own version of a standout but what I loved was the idea of an ensemble cast that really focused on what today’s families might look like. There is no template for the ideal family, so having parents that are divorced but getting along or not having kids or being in your mid-30s and still not married were all topics that I think a lot of Hallmark fans will relate to. To me, the message was to make time in your life for the people that matter the most to you and everything else is just icing on the cake. What inspired you to take up acting as your profession? What alternate career path would you have picked if not for acting? I honestly never wanted to be an actor. I had planned on becoming an athletic therapist. I grew up playing sports and got heavy into ice hockey in my teenage years. Three dislocations required me to get surgery after I graduated high school and so my plans of attending a U.S. college for hockey were pushed back a year. In the meantime, my mom suggested I attend the local university and take a couple easy classes. One was theatre and that was it. I was hooked. After a slew of professional musicals and plays, I landed a recurring role on a comedy series, 'Less Than Kind', with showrunner Mark McKinney (Superstore, Kids In the Hall) and that was all she wrote. I never looked back. Your roles in film and TV have been different genres. Which genre do you most enjoy working in and why? Oh, this is tough but I am going to have to say comedy. 100%. I love the idea of making people laugh and helping them forget any concerns they might have in their lives. The same way a musician uses pitch, pacing, and levels in their ability to move people when they play, well-constructed comedy asks that of its actors. It really is a constant challenge to play it well but when you get it right, there is no better feeling. You’ve also appeared in several short films. What do you think are the main differences while working for a short film as compared to a feature film? Is there a different approach that you take? Short films or indie projects are such a gift to work on for a variety of reasons. With shorts, they tend to be someone’s passion project. They have a skeleton crew with little to no money but yet everyone is there because they love the process of creating something they are proud of. Features tend to have more money involved but with that freedom brings more responsibility and people to answer to regarding every little decision. Both have their pros and cons but, in the end, each offers a place to create and explore your craft even more. I personally take the same approach if a project is a $4 million feature or a $4 short film. I don’t believe a budget should have any impact on a person’s work ethic. You’ve also done work as a stunt performer. What was the experience like? I dabbled in it for a couple years in my early 20’s because I was athletic. The local stage combat teacher was also the stunt coordinator in the film industry so she recruited me. I was never seriously hurt but I did see another lady get hit by a truck. Luckily, she was able to bounce and roll of it quickly enough to not be seriously injured. They had asked a background performer to back up the big truck, at a very high speed, without any training. He was not at fault; he should never have been put in that position. You have a number of projects upcoming in 2019. Which ones are you most excited about and why? It’s a tough call but I am going to have to say 'Norm of the North 2'! It was my first opportunity to voice an original character for an animated movie. My grandfather passed away this last year and we were very close. He was obsessed with cartoons when I was a kid and I know he would have loved to see it. Of all the things I have done, knowing he will be watching it from his first-row seat will be one of my biggest highlights to date.